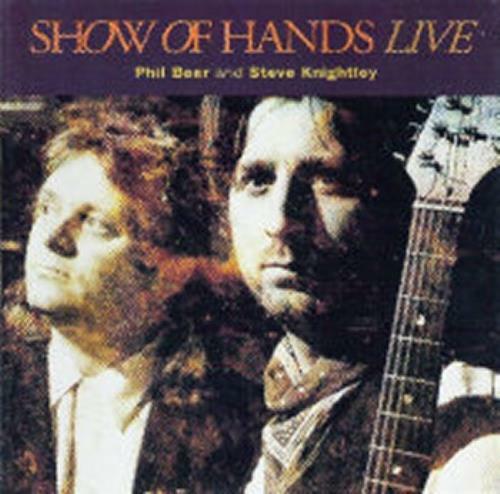 SHOW OF HANDS Live (1999 UK 16-track CD recorded live on June 8th 1992 at the Bull Hotel in Bridport. Tracks include some great early Knightley originals, along with a version of the 'Blind Fiddler' and 'Exile' - a duet with Polly Bolton, picture sleeve HMCD07). Tracklisting / Additional Info: All songs written by Steve Knightley, except where noted.